I was wondering what effect such smoke has on honey bees. Here at home, I see no bugs of any sort out this morning. A few days ago, they were really active, but they seem to have gone into hiding. I am not at the moment near any apiaries, so I can’t comment directly on what is happening in the field – but the thick smoke must be slowing the bees’ foraging. However, I contacted a friend with a large home apiary. He told me that his bees appeared less active than they were a few days ago, but suggested that this might be due to a recent light spotty frost – though it is warm again and flowers are still secreting nectar. As with all aspects of beekeeping, it’s hard to separate out the multiple factors at play. In addition to a potential decrease in foraging, I’m concerned that the smoke will infiltrate supers and permeate combs. I have tasted some smoky-smelling honey which resulted when a desperate and frightened beekeeper tried to calm irate bees with massive amounts of smoke. Smoke can affect honey. 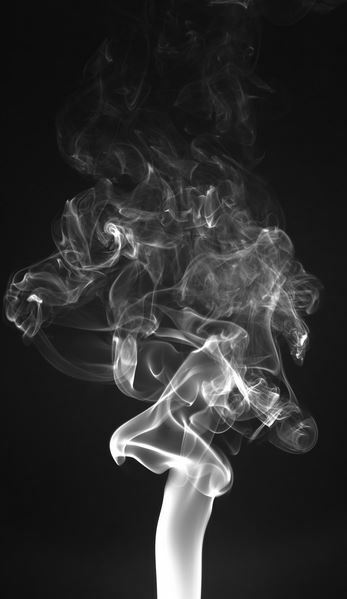 Also, smoke from a smoker usually has tiny specks of black soot. Surely almost harmless, but those black specks sometimes float in honey jars, spoiling an otherwise pristine product. However, smoke is the beekeeper’s best friend when used in judiciously small puffs. I dread looking at bees without a smoker in hand. I would much rather approach a hive in a honeybee swimsuit and a smoker than approach suited in bee armor and no smoker. 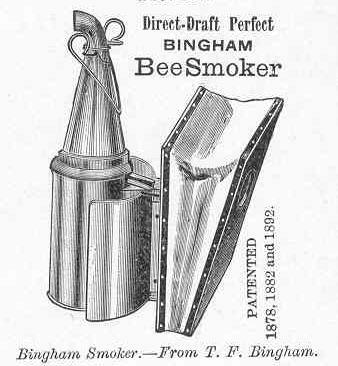 Smoke has been the beeman’s friend for a long time. For unknown millennia, prehistoric tribes have used smoky torches to chase bees off combs. Similarly, an Egyptian tomb painting from 3,500 years ago shows a beekeeper with a smoker. The behaviour of honey bees that are exposed to smoke has enabled modern beekeeping – including queen breeding and moving colonies for pollination. It usually takes just a small puff to disarm a colony. 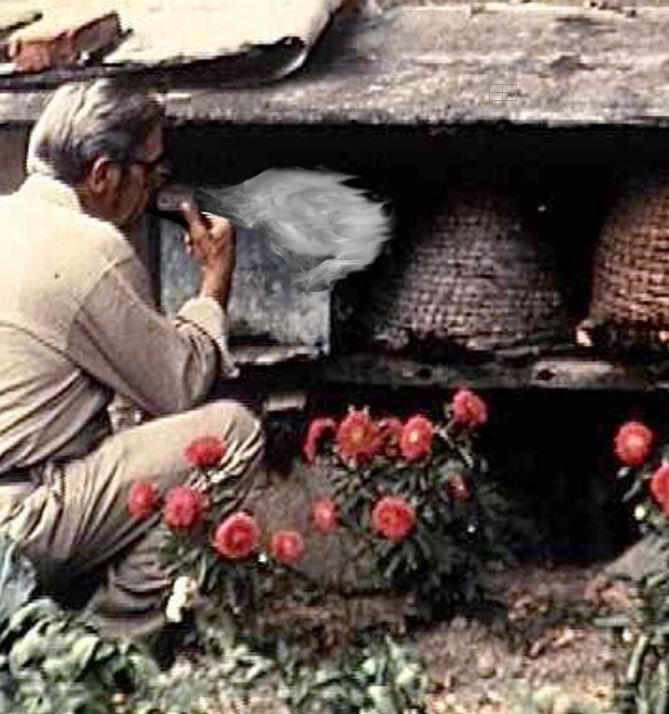 My father smoked a pipe – just so he’d always have something handy to calm rowdy bees. (It worked equally well on kids, too.) In the bee yard, too much smoke can cause all sorts of grief – spoiled honey (as mentioned earlier), confused and gasping bees, and unhealthy lungs for the beekeeper. But let’s assume you are careful and use your smoker properly. What is happening when bees encounter your smoke? Is it the same response as during a forest fire? Irritated bees emit pheromones such as isopentyl acetate (from the stinger shaft) and 2-heptanone (from mandibular glands). These strong-smelling chemicals evoke an alarm response in other nearby honey bees, which in turn produce more of the same pheromones. Soon all the bees are agitated and ready to fight the threat. The beekeeper’s smoker masks the bees’ emitted pheromones by reducing the electroantennograph (EAG) response at the bees’ antennae. Although it suppresses the bees’ alertness to their fellow bees’ alarm scents, the masking lasts for only about 15 minutes after the air has cleared. and leaves no known residual problems for the bees. 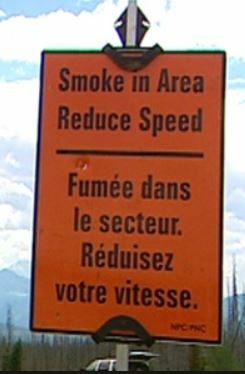 Smoke has another benefit for the invading beekeeper. It triggers an imbibing response in bees, distending their abdomens because of their gluttonous engorging. This makes it hard for the bee to curl up and poke its stinger into the beekeeper’s skin. I have heard beekeepers say that the gorging is because the bees are preparing to abscond in face of the coming fire and the bee is tanking up for a long flight. I don’t think this true. I have seen entire apiaries burned – bees and all. It seems unlikely the bees in every hive forgot to leave. The honey-imbibing must have another purpose. In nature, many wild swarms survive forest fires when the fire sweeps through the grass and brush near ground level. Bees in trees above the fire are (sometimes) able to survive. They may even crawl further up in the tree’s hollow, leaving their wax and honey to melt and trickle away. After the fire has rushed by, flowers are scorched and bees may need to search for a new home – somewhere with unscorched nectar supplies. Honey bees take a few days to scout for a new home and to reach a relocation consensus. Meanwhile, the queen is too heavy to fly easily, but during the relocation planning phase, she stops laying eggs for a day or two and becomes more mobile. (This is another reason they don’t abscond while the fire is raging.) Soon the engorged bees move to their next home. My theory may be wrong and the honey bees’ imbibing response to smoke may have some other cause. Nevertheless, it is a boon to the beekeeper as it certainly reduces stings. I realize that some beekeepers avoid smoke entirely. They are worried that smoke – even in tiny amounts – will hurt their bees. I appreciate the sentiment. Unfortunately, without smoke, any hive examination is precarious. When Betty Bee alarms Henrietta and Anna who then alarm their four best friends who tell sixteen others about an intrusion, thousands of bees may go wild in a minute. Not only will the beekeeper suffer a lot of stings, but so may nearby pets and even neighbours. The key is to learn to use the smoker in very carefully placed doses. This is something learned from experience. Such experience is best acquired from old-timers who have kept bees for 30 years. Of course, avoiding smoke around bees is ideal, but today – in southern Alberta – the distant forest fires are making that impossible. 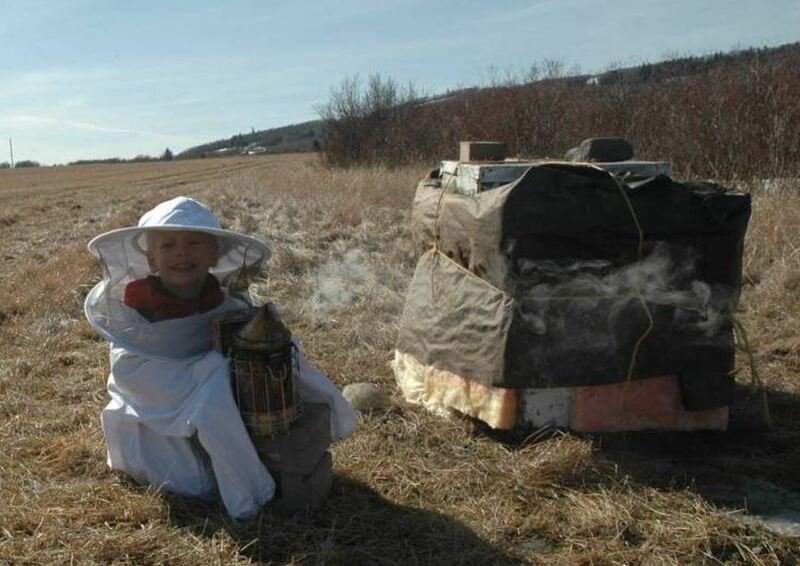 This entry was posted in Beekeeping, Honey and tagged Alberta, bee smoker, Calgary, forest fires, pheromones, smoke. Bookmark the permalink. Very interesting theory about why bees gorge on honey in response to smoke, it makes sense to me. Thanks for sharing it. I try to avoid smoking my colonies and have found it’s often not necessary. I light my smoker up just in case, but only use it to get the bees to go down inside the frames at the end of the inspection so that I can put the hive back together without squashing them. It depends how nice your bees are. The less smoke used while working bees, the better – in most cases. I still advise people to use at least a puff or two to calm them down before starting the invasion of their home. Sounds like you have great bees! For beekeepers, what follows is a bit about fires, smoke. and bees. When I wrote this three years ago, I had no bees in the backyard. Now I do. The effect of this year’s heavy smoke is noticeable – the flight from the hives is just one-third to one-half of what it was a few days ago when there was no smoke.